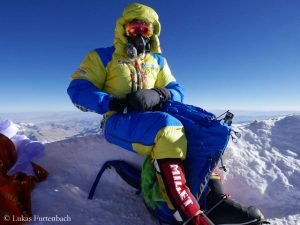 This is Furtenbach’s plan: The pre-acclimatization of the clients takes place at home for six to eight weeks with a special training plan and a newly developed hypoxic tent system, which is capable of simulating high camp nights up to an altitude of 7,300 meters. 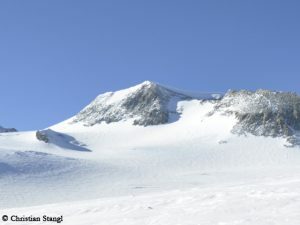 On the spot, there will be no more acclimatization climbs, but – of course, depending on the weather – a summit attempt. Furtenbach guarantees unlimited oxygen for each member. The plan is to use a special regulator “designed for us by Summit Oxygen, with a possible flow rate of up to eight liters per minute” (a flow rate of four liters per minute is currently common on Everest) and a total of up to 16 (!) oxygen bottles per client on the mountain. 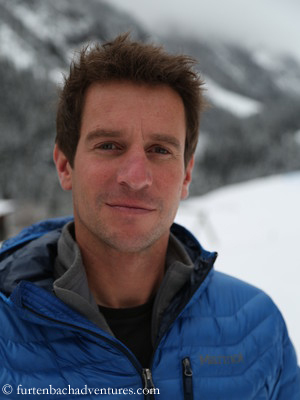 “Alpine moral – if you want to use this terrible term – makes no difference whether half a bottle or 16 were used,” Lukas writes to me from Kathmandu. 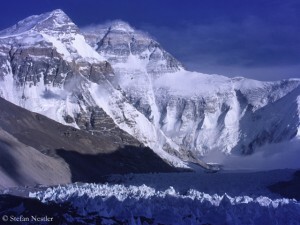 “It remains a climb with supplemental oxygen. But more oxygen makes the climb definitely safer. That’s a fact.” Material and staff should be “100 percent redundant”, says Furtenbach: “Bottles, masks, regulators and even Sherpas on the bench.” The whole thing has its price, which is on the upper end: US $ 95,000. Nevertheless, the expedition operator from Austria is convinced that his tactics “will develop into a new industrial standard within just a few years”. In his opinion, commercial climbing on the eight-thousanders has remained “on the level of the early 1990s”. 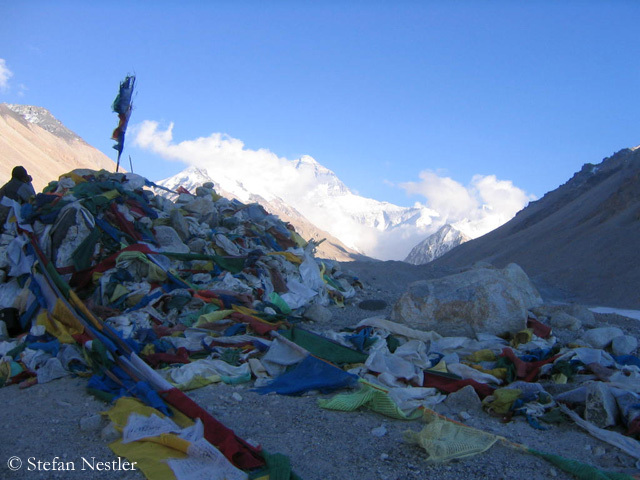 Shorter expedition time also means less time for the Nepali or Tibetan staff. Will less money remain in the respective countries? We need more Sherpas for the “Flash Expedition”, and they will be hired for at least the same time as on conventional expeditions because they prepare the route. Significantly more money will remain in the respective countries, definitely. 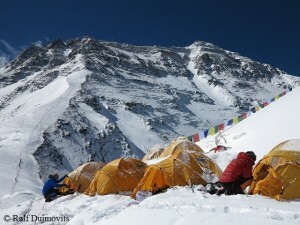 We pay our Sherpas significantly better than other Western operators usually do. 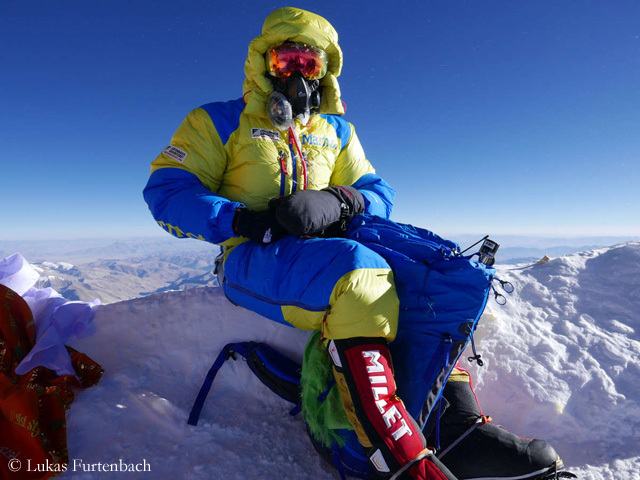 Does the new concept lead to even more summit aspirants on the eight-thousanders, who actually do not have the necessary skills – because they say: Cool, that suits me, under these circumstances even I can do it? We look very carefully at each aspirant – no matter whether on a Flash or a normal expedition. If someone seems to us inexperienced or unsuitable, we offer him a special program to develop his skills, which may take a longer period, or we reject him in principle. 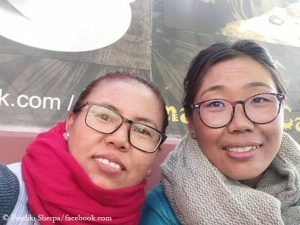 The real problem on Everest is currently the uncontrolled hordes of mostly completely inexperienced Chinese and Indian clients of essentially two Nepali low-cost operators, who have been responsible for most of the deaths (clients and Sherpas) of the past years. Flash Expeditions are certainly more attractive for the clients because they are not missing work for such a long time. However, doesn’t the special expedition experience fall by the wayside due to the short duration? Four weeks are still a long time with plenty of space for adventure. For most people, even a four-week holiday is a far-away dream. Nevertheless, we continue to offer a classic expedition on Everest, in which the members can approach the mountain in the way climbers have been doing for almost 50 years.